TIME FOR CREATIVITY.....Always fancied painting, but never thought you could? or didn't have the time? Based in the Ceiriog valley, just south of Llangollen, this beautiful valley offers plentiful landscape painting opportunities for the budding artist, come and free your inner creativity or learn new skills and techniques if you have tried painting already. Accommodation is provided for you at the West Arms Country Inn and Restaurant, which is a charming inn situated directly across the road from Tithe Barn Studio & Gallery. 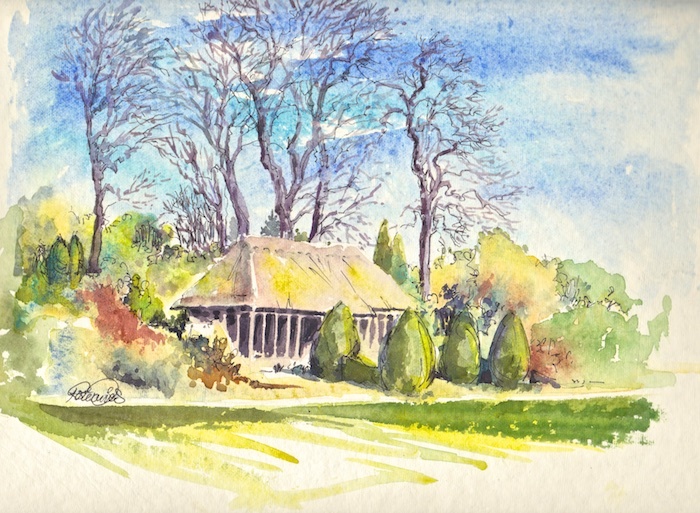 The workshop will focus on the mediums of watercolour and/or acrylic. You will spend time painting en plain air, in the studio and in the West Arms ( all dependant on weather conditions) with quality tutoring as the group will be kept to a limited number of 6, guaranteeing you one to one instruction when you need help. For full details contact either Rosie or the West Arms. At this time of year our garden becomes a safe haven for the pheasants of the valley! Watercolour is my main medium, swiftly followed by oils, but I greatly enjoy creative drawing on the iPad (see my gallery). I work from sketchbook and photographs and paint 'en plain air' when the weather allows. I have developed a detailed and individual style with colour at the heart of my creations. 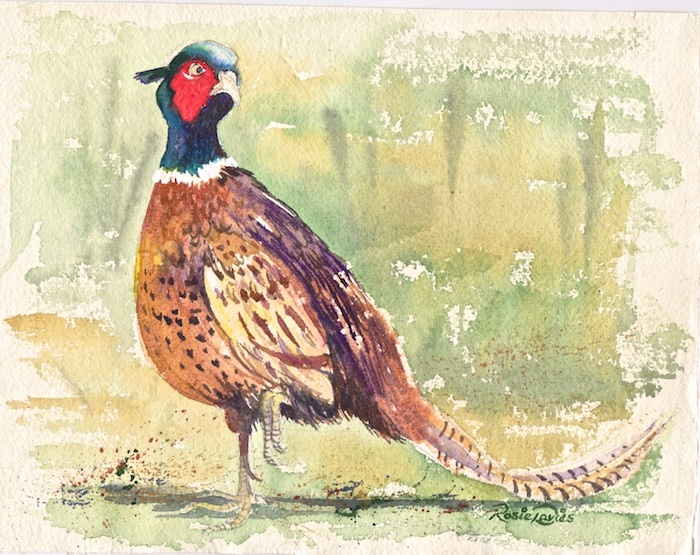 Alongside original paintings I also sell a range of prints and greetings cards. Please check in with reception to view.